﻿Convenient Access to PATCO Speedline and Suburban Station. When Ron was 11 years old, he had the good fortune to meet B.B. King in his dressing room at the Apollo Theater in Harlem. 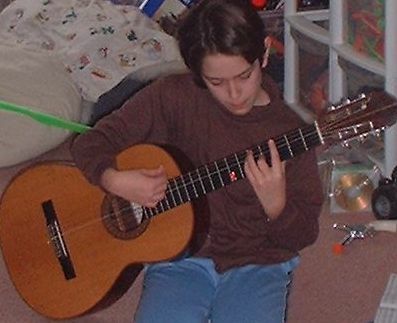 Little did he know that it would ignite a passionate love affair with the guitar that would span four decades. He has been playing guitar for over 45 years and writing songs for over 30 years. 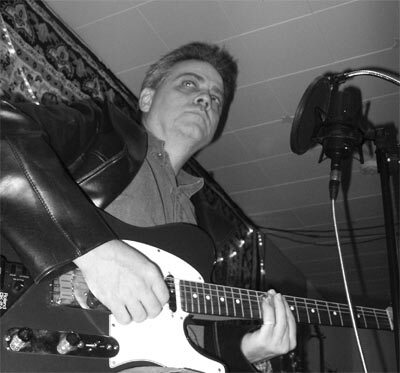 A versatile and itinerant musician, Ron has performed his mixture of folk, rock, and blues bottleneck in Philadelphia, PA, nationwide and abroad, and has had a hand in developing young and older aspiring hobbyists as well as performers. My mission is to awaken the musician inside the student whether a beginner or experienced guitarist. I teach my own lessons and value developing individualized approaches given the various needs of students. Since people are unique, I shape my approach based on each student's schedule and pacing. I want to help a student to think about music in a way they never imagined. To accomplish this, students are taught solid guitar fundamentals as well as an appreciation of the style (Rock, Blues, R&B, Piedmont Finger Picking, and Folk) they are inspired by. Playing by ear is important, or, the ability to instantly recognize the chord structure of a song and play what you are hearing. This tool is well within the reach of ALL students, and I teach this to all of my students, as well as reading. Many of my students are beginners and I take great joy in watching them realize their dreams of playing simple songs of their choice. I also work with experienced musicians to develop their approach to Rock and Blues soloing, rhythm guitar, fingerpicking, and song writing, as well. A student and player of bottleneck slide guitar for 40 years, I work with professional and beginner students to learn this craft, too (Duane Allman, Sonny Landreth, Robert Johnson are inspirations). I have worked with many local artists, as well as national touring companies like Cirque du Soleil, Philadelphia International Records, hundreds of students, and many high schools and nonprofit organizations in Philadelphia, since 1996. If you would like to become the guitarist you envisioned you could be, contact me, and we can begin to chart out a direction. Lessons from Ron have been a great help for me in my role as a record producer. He has expanded my understanding of music theory and I've been able to apply the things I learn with Ron in the studio when I'm working with different artists. My songwriting abilities have improved with the different musical techniques I've learned. I expected to learn to play the guitar, but am learning a great deal more than just that. For the past 5 years I've worked for Philadelphia International Records, home of Kenny Gamble and Leon Huff, the creators of "The Sound of Philadelphia." Soul and R&B music holds a special place in my heart, and having a experienced teacher who shares the same enthusiasm for this type of music makes my lessons a joy. I highly recommend Ron for anyone who has or is pursuing a career in music. 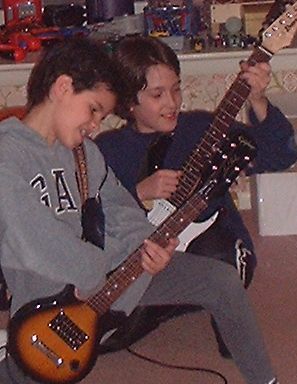 I started with Ron the first day I picked up a guitar. He was the perfect instructor for me because he was patient, structured each weekly lesson based upon what I needed to improve, and he's also a fun guy. What also worked great for me is his super convenient location in Center City. It's only a few blocks from Rittenhouse﻿ Square, 3 blocks from a stop on the 17 bus, and 1 block from Patco . Great place to learn guitar. I and my son (11 yrs. 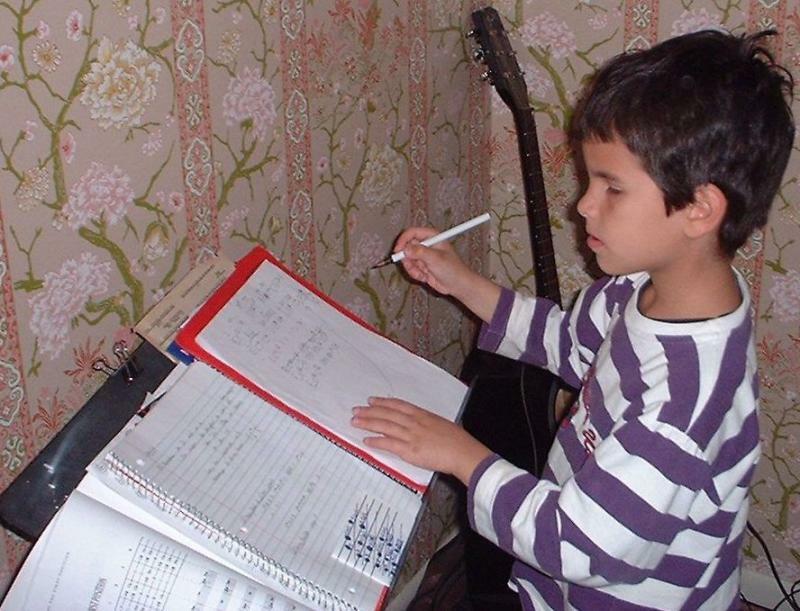 old) had no clue how to play guitar or even read music but we had the desire to play music and we were lucky to find the most interesting guitar teacher. He is so passionate about teaching guitar, and, he has his own technique making it easy for a mother and son who have no knowledge of playing music or instrument to do it properly. Not only does Ron teach guitar he also a good role model for my son, he teaches the value of life, so not only are we getting the guitar lesson, but we also feel rejuvenated after the lesson. At my son’s elementary school he plays the guitar for his class and his technique is a lot better than some other students who been playing for the past 3 years. Thank you Ron for the past 20 months and counting. Copyright 2009 ronbennettmusic.com. All rights reserved.